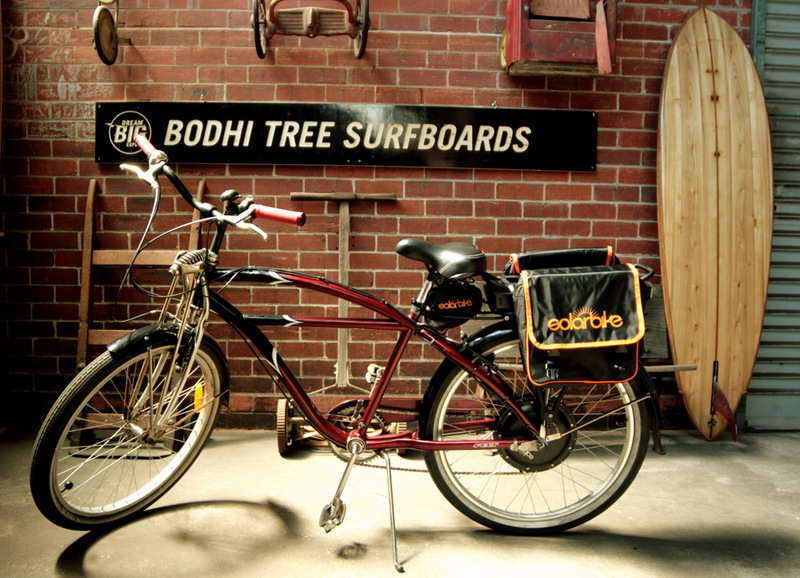 BODHI TREE SURFBOARDS is an amazing place located in East Perth where you can go and build yourself a beautiful wooden surfboard. I highly recommend this to anyone out there who loves surfing, surfboards, woodcraft or art. Greg will guide you through the process of building your own surfboard and teach you about all the nuances of tail design, board shape, rocker and wood at the same time. The final product will be the best surfboard you’ve ever ridden. The thing is, if you’re going to be building such cool surfboards, then you’re going to need a damn cool electric bike to go with them as well. This was an old beauty that came together marvelously. It should be seen running between Perth and Fremantle for the next 10 years packed with surfboard making paraphernalia. « Electric Christiania Cargo Bike. February, 2017.